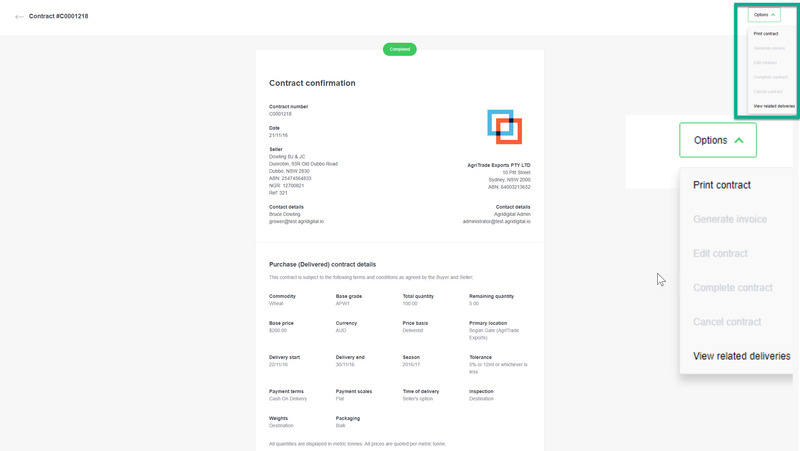 Connecting your AgriDigital documents at the click of a button! 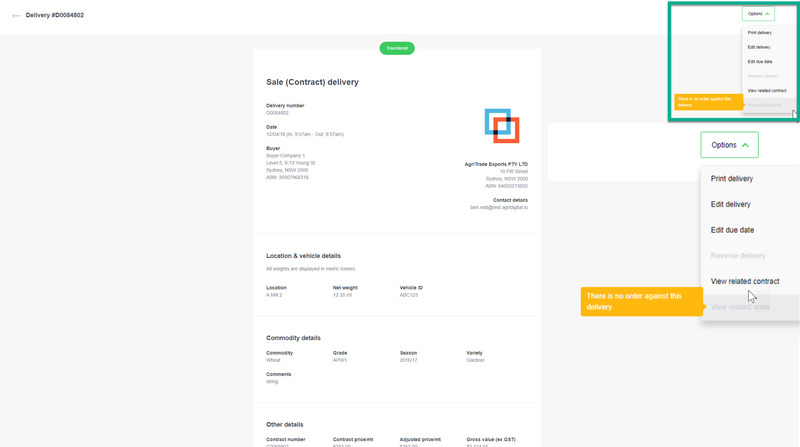 You now have the ability to “View Related Documents” from your Transactions Contracts, Deliveries, and Invoices screens. This increases efficiency in connecting your transactions and viewing your trade flows. 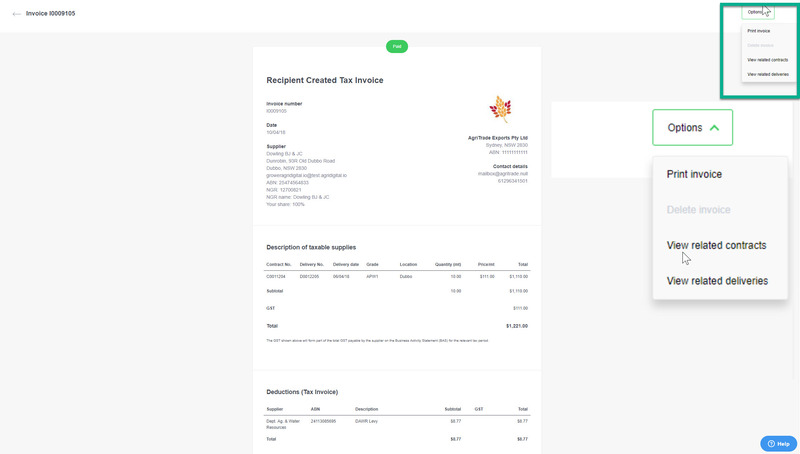 As shown in this example, the inactive feature explanations give reasons for why you may not be able to, in this case, “view related orders” as there are no orders against the delivery. Stay tuned for more enhancements to this feature across the platform!